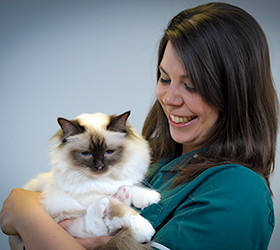 We understand the special relationship people have with pets and aim to provide the best possible health care in a friendly and welcoming environment. Treatment of sick and injured animals is a very important part of our work but we are great believers in the value of preventative health care in keeping your pet in tip top condition for a long and happy life. Our pet care services are designed to promote a healthy life for your pet whatever their age with personal attention from your vet and nursing team. For more information, please browse through our website pages or contact our friendly team.